Professor Baumgaertner was commissioned by CCL to edit an anthology of the best poems published in the journal Christianity and Literature over the past sixty years. The work that resulted from her efforts, Imago Dei, gathers in a single volume poetry that exemplifies the richness, power, and paradox both of the English language and the Christian faith. These poems find beauty in the concrete and particular, but they also pose the large questions: Why do we exist? Who is God? Where do we find God? What does the Incarnation mean? When does God speak to us, and why is God silent? All of the poets in this collection wrestle with what Imago Dei means for them as readers, writers, artists, teachers, and students. Please click on the link to see and hear what such superb poets as Wendell Berry, Dana Gioia, and Luci Shaw make of this question. Poetry speaks as no other language can. It does what no other art form can do. It compresses experience; it intensifies language; it uses words to say the unsayable. Imagine what the world would be without it. It is not just that poetry is nutritious and beautiful; it is also enjoyable because it cracks open our everyday lives, the mundane worlds in which we spend so much unconscious time, and releases the extraordinary, brining us to full consciousness. 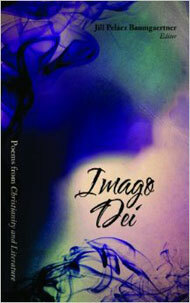 This book is a selection of poems published over the past sixty years in the journal Christianity & Literature. Arranged alphabetically by author, the poems range from personal to liturgical, from celebratory to anguished, from formal to free verse. What they all have in common is an awareness of human experience as a part of a grand narrative, of the imago die embedded in human nature, and of the sense of connection to something much larger than themselves. These are poems written from within a theological tradition, but they are not necessarily traditional in form or expression. They upset the usual in their originality; they are Worded words, connected to our earthly life but pointed toward the Kingdom of God; they are redemptive words made flesh.